Healthy and brightly-coloured, these Hawaiian bowls of rice and marinated raw dish are definitely more filling that plain ol' salads! 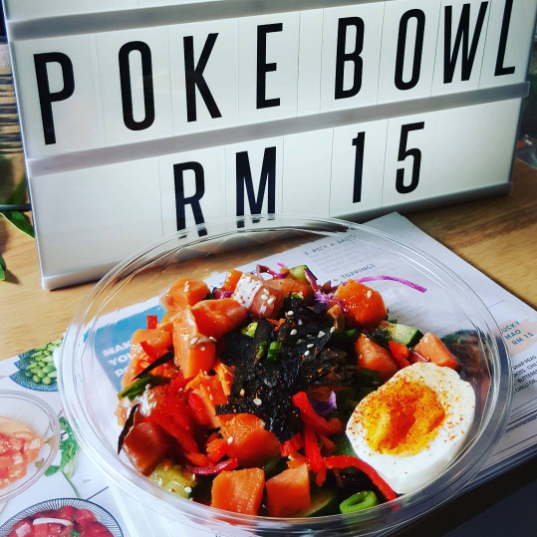 Established in August 2016, The Fish Bowl is actually the first poke specialty shop to open in Malaysia. 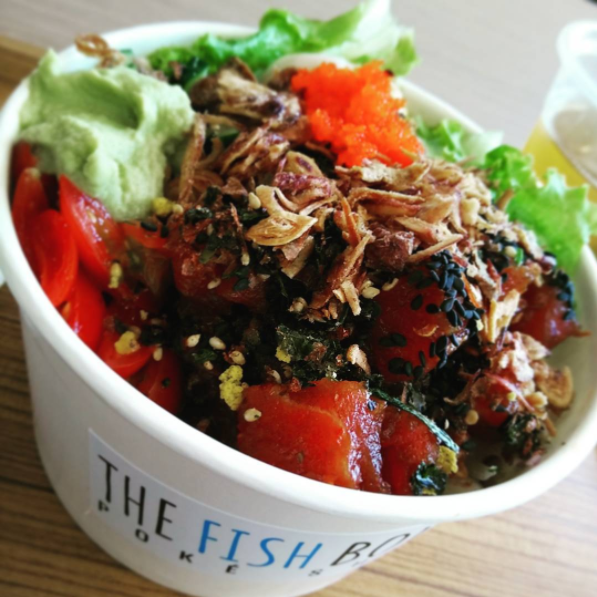 You get to build your own poke bowl at TFB, with a wide selection of rice bases, vegetables, ocean-sourced proteins, and as many toppings and sauce as you want. Price Range: RM17.90 per bowl inclusive of beverage, additional RM6.00 to upsize. Opening Hours: 10.30am to 10.00pm daily. Contact Details: Call 03-5612 9992 or e-mail [email protected] if you have any enquiries. 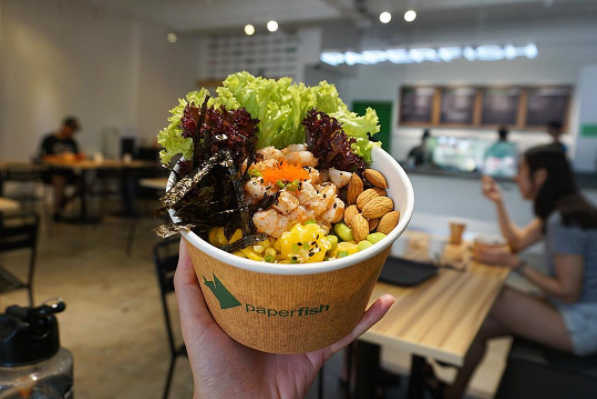 Co-founded by YouTuber Dennis Yin, paperfish incorporated Malaysian flavours and spices into their dishes to cater to local tastebuds. 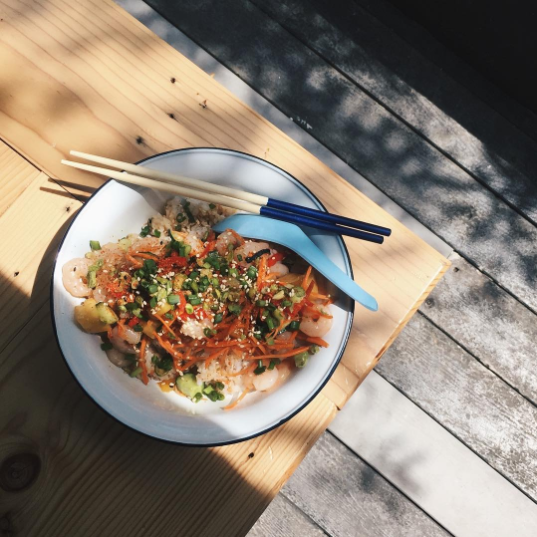 For those who are giving poke bowls a shot for the first time, they recommend starting off with their top-selling Umami Shoyu Salmon or Tuna poke bowls, or the Heatwave (salmon poke with a creamy spicy marinade). 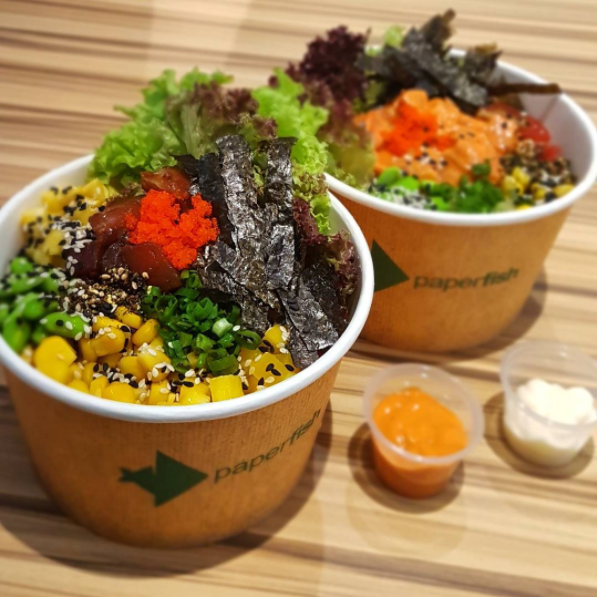 Price Range: RM15.90 to RM17.90 per bowl, with additional charges for extra toppings. Address: 26, Jalan Datuk Sulaiman, Taman Tun Dr Ismail, 60000 Kuala Lumpur. Opening Hours: 10.00am to 10.00pm daily. Contact Details: Call 03-2385 0007 or e-mail [email protected] if you have any enquiries. 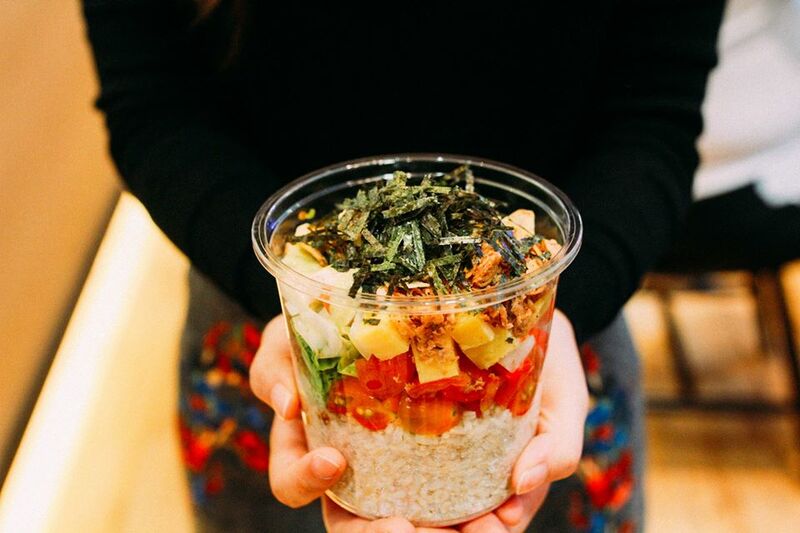 This newly-opened poke bar practices a DIY concept, where you get to pick the ingredients that go into your bowl. 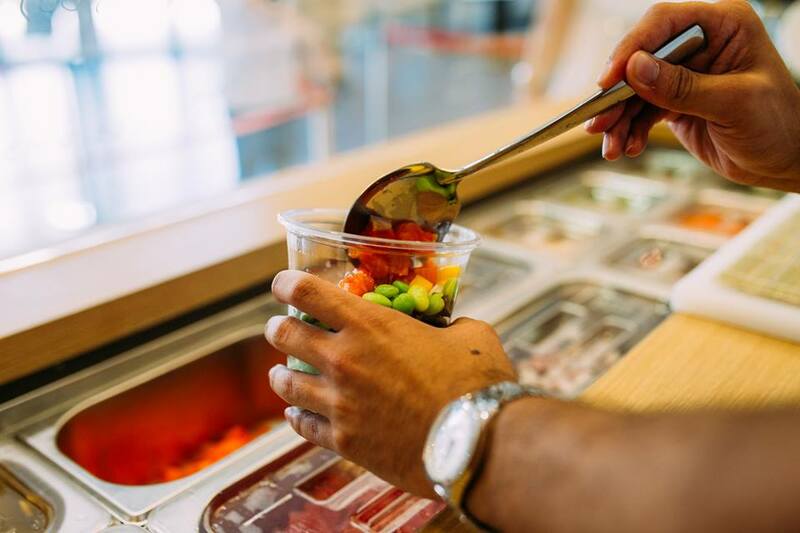 For a flat rate, Fin lets you have a pick of salmon, tuna, shrimp, or fried tofu, three sides, as many toppings as you want, and four sauces to choose from. Price Range: RM15 per bowl, with additional charges for extra proteins. Address: Art Row (outside Baskin-Robbins), Publika Shopping Gallery, No. 1, Jalan Dutamas 1, Solaris Dutamas, 50480 Kuala Lumpur. Opening Hours: 9.00am to 4.00pm daily. Contact Details: Call 012-780 0270 or e-mail [email protected] if you have any enquiries. 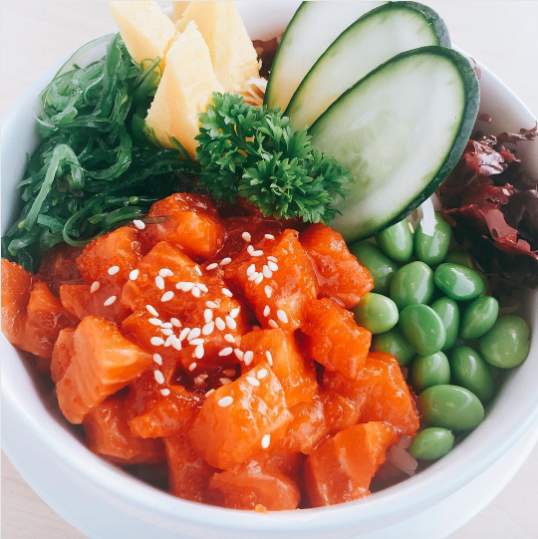 Poke Bear is the newest poke bowl joint in town, having just opened for business in early February. 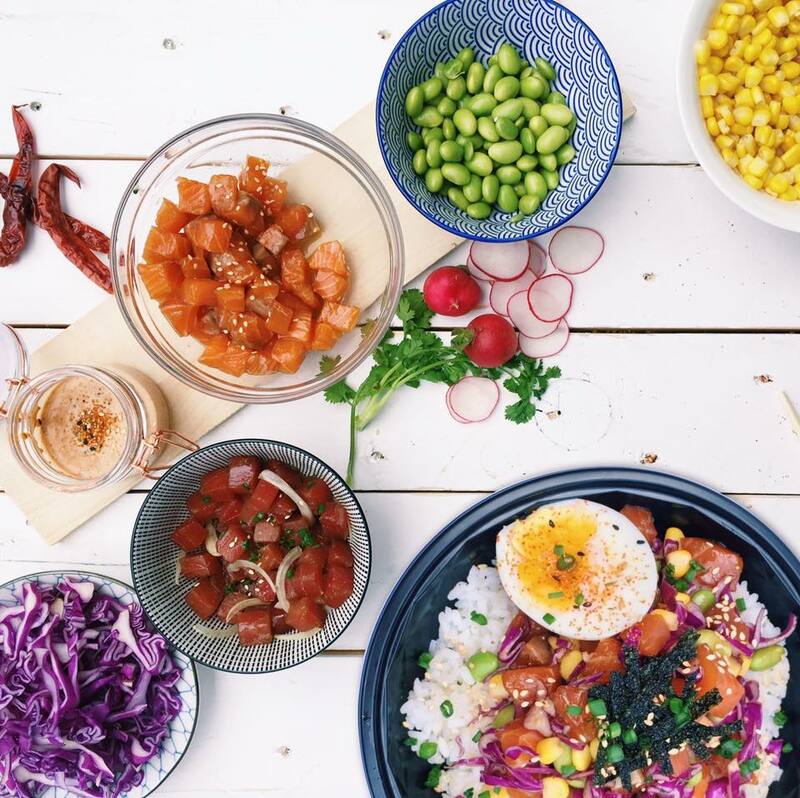 While there are preset dishes here, you are encouraged to build your own poke bowl, starting with a base, your choice of poke, five sides, and unlimited toppings. 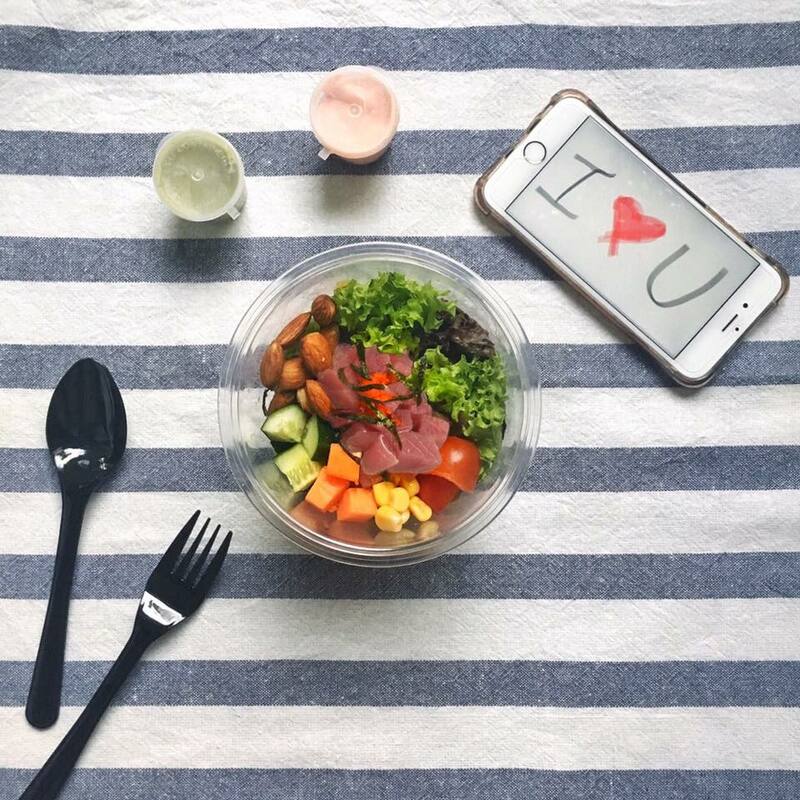 Price Range: RM18.00 for a DIY bowl, with additional charges for extra ingredients. Address: LG1.110A (opposite Starbucks facing Sunway Lagoon), Blue Atrium @ Sunway Pyramid, 3, Jalan PJS 11/15, Bandar Sunway, 47500 Petaling Jaya, Selangor. Contact Details: Call 03-7494 0257 or e-mail [email protected] if you have any enquiries. 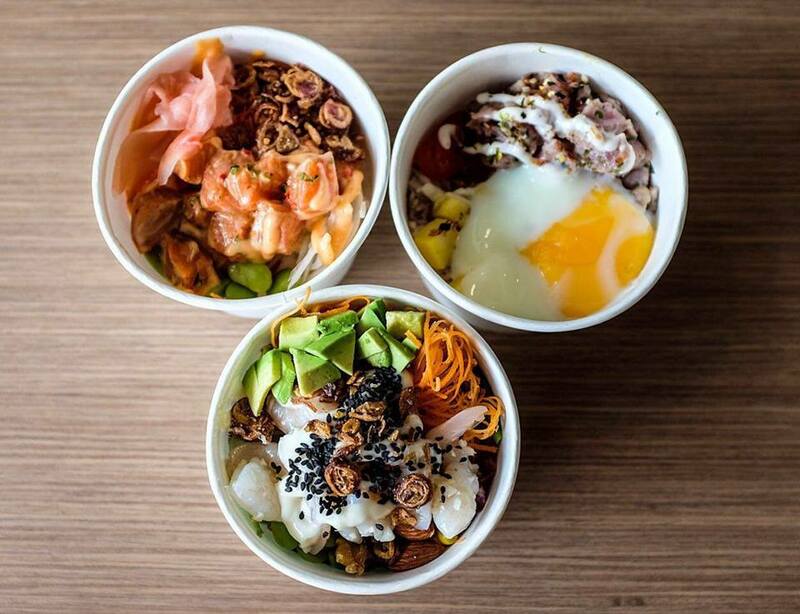 The California Poke Bowl features a calrose rice base with salmon, tuna, and butterfish poke, topped with creamy guacamole, crab salad, masago, and spicy mayo. Eatomo Food Company also offers fresh seafood sourced from all over the world, including fresh fish, oysters, and mussels. 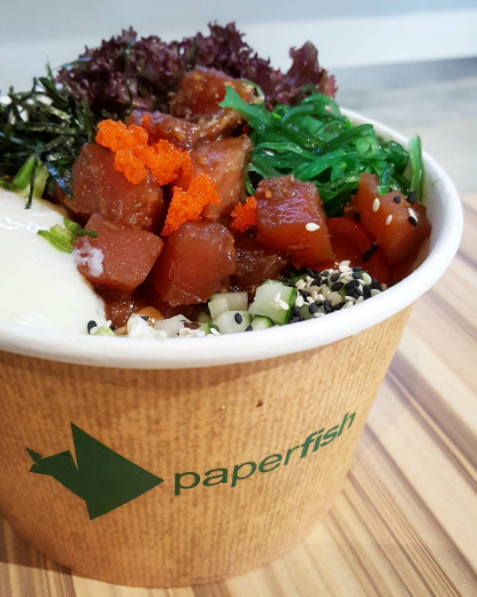 Price Range: RM19.90 per bowl, RM21.90 for the spicy sashimi version. Address: 11-1-1, Jalan 3/109F, Danau Business Centre, Taman Danau Desa, 58100 Kuala Lumpur. Opening Hours: Open everyday from 12.00pm to 3.00pm and 6.00pm to 10.30pm. Contact Details: Call 03-2303 1608 or e-mail [email protected] if you have any enquiries. 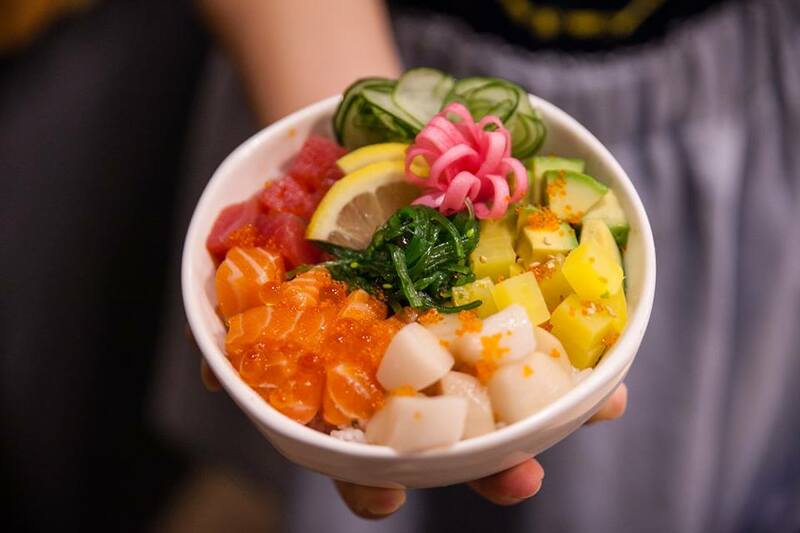 In line with the cafe's selection of healthy food like smoothie bowls, salads, and fresh sandwiches, Rubberduck introduced its version of poke bowl last year, which featured marinated salmon sashimi, brown rice, and cucumber sesame salad. Price Range: RM21 per bowl. Address: Lot K-06 (Dorchester Service Apt. ), Plaza Damas (opposite Don’s Warong), 50480 Kuala Lumpur. Opening Hours: Monday to Friday from 8.00am to 8.00pm, Saturday and Sunday from 8.00am to 6.00pm. 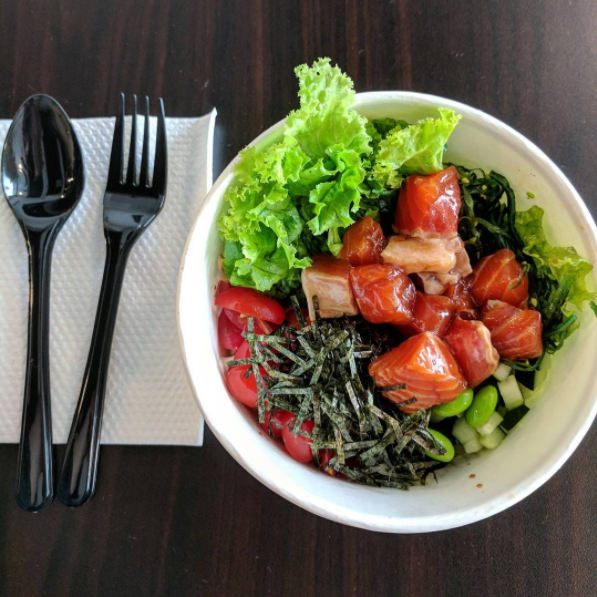 In addition to fresh sushi and classic Japanese dishes, Sushi + Rotary Sushi Bar also serves two variations of the poke bowl - salmon poke bowl and Aloha poke bowl. 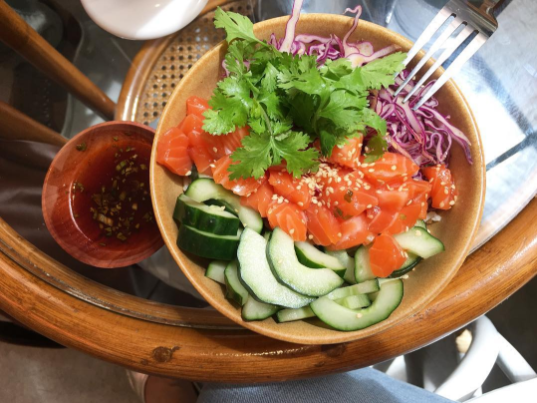 The former is made of salmon, edamame beans, and wakame (seaweed salad), while the latter comes with fresh salmon, tuna, avocado, and more. Address: 1F-01, Kompleks Kenari, Jalan Kenari 19, Bandar Puchong Jaya, 47100 Puchong. Opening Hours: 11.00am to 10.30pm daily. Contact Details: Call 012-289 2777 or e-mail [email protected] if you have any enquiries. 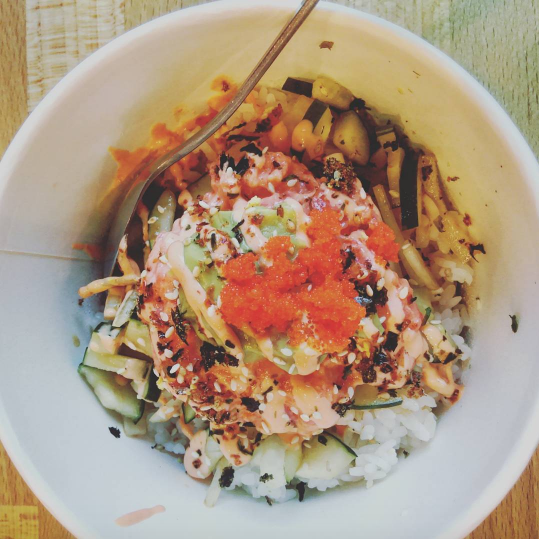 What Are Poke Bowls And How Do You Know If It's Worth The $$$ You're Paying? The latest food trend to arrive in Malaysia can get pretty pricey.